Decorate the dollhouse! 2 sheets of Delft tiles in rose and traditional blue color schemes for you to print. Rose Delft and Blue Delft tile blocks and fireplace surrounds. 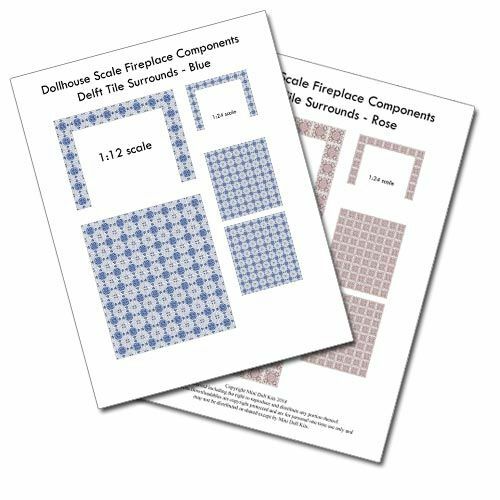 To use for kitchen backsplashes, table tops and fireplace in 1:12 and 1:24 scale. 300 DPI. For print on 8.5" x 11" cardstock. Print at 100%.